Health insurance is designed to help with the cost of medical care, but it doesn't always cover everything. Planning ahead for additional out-of-pocket costs can keep you from experiencing sticker shock when a medical bill arrives. Depending on what type of health insurance you have or what health care benefits your employer offers, you may have access to a Health Savings Account (HSA) or a Health Reimbursement Arrangement (HRA). If either of these options are available to you, it's important to understand how an HSA vs. HRA compares. As the name suggests, an HSA is a savings account that's meant to be used specifically for health care. These accounts are associated with high deductible health insurance plans, which may be offered by your employer. You can also opt to enroll in a high deductible plan with an HSA if you're self-employed. The Internal Revenue Service limits how HSA funds can be used to a degree. For instance, you can't use the money in your HSA to pay for things like teeth whitening services, vitamins, hair transplants, exercise equipment or a gym membership. Using your HSA funds is relatively easy. Your insurance company can provide you with a debit card linked to your savings account. You can then swipe your card to pay for eligible medical costs and your HSA provider will furnish a tax statement at the end of the year, showing your total spending and annual contributions. For 2018, you can contribute $3,450 to an HSA if you have single coverage. The limit increases to $6,900 if you have family coverage. Employers can make matching contributions to an HSA on your behalf. Total employee and employer contributions can't exceed the annual contribution limit. A Health Reimbursement Arrangement differs from an HRA in several key ways. First, it's not a savings account per se, nor is it health insurance. You don't make any contributions to the account; instead, your employer makes contributions for you. Employers can establish an HRA for any employee under age 65. They also have control over how you can spend down the money in your account. For example, if you medical expenses that insurance doesn't pay for, you could tap your HRA to pay, then cover any remaining difference yourself. Alternately, your employer may set up your plan so that you cover a specific amount that's not covered by insurance; then, your HRA pays the rest. In terms of contribution limits, these vary based on the type of HRA the employer has established. An Integrated HRA which is linked to a high deductible group health plan, for instance, has no annual contribution limit. A Qualified Small Employer HRA (QSEHRA), which is designed for businesses with 50 or fewer employees, has a contribution limit of $5,050 for individual coverage and $10,250 for family coverage in 2018. Similar to HSAs, money held in an HRA can only be used for qualified medical expenses. Generally, that includes those expenses covered by your health insurance plan, such as doctor visits, hospital services and prescription drugs. Your employer has the option to expand the scope of coverage to include the full range of expenses that are HSA-eligible, but this isn't mandatory. 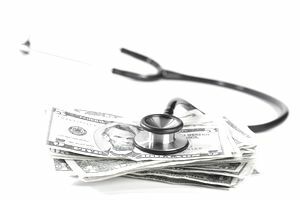 An HSA and HRA may seem equally advantageous but HSAs yield some important benefits that HRAs don't. First, the contributions you make are tax-deductible. Deductions reduce your taxable income for the year, which could result in a lower tax bill or a larger refund. HRA contributions are deductible but only for your employer; you get no tax break for having one of these accounts. Next, you're not required to use your HSA funds until you need them. The money you contribute rolls over from year to year and until you withdraw it, it continues to earn interest. With an HRA, your employer decides whether to let you carry contributions over from one year to the next. If that's not an option, your HRA money essentially becomes use-it-or-lose-it. The way you can use funds in an HSA vs. HRA also differs. If your employer doesn't opt to go beyond the expenses covered by your health care plan, you may find yourself paying more out-of-pocket for medical expenses that could be covered by an HSA. Lastly, and perhaps most importantly, an HSA can do double-duty as a retirement planning tool. Ordinarily, withdrawals from an HSA for anything other than health care would be subject to a 20 percent tax penalty and ordinary income tax. If you stay healthy and continue to accumulate money in your account during your working years, you can withdraw money from your HSA at age 65 or older for any purpose, without incurring the 20 percent penalty. You'd still owe ordinary income tax on your withdrawal but this can be a useful way to supplement Social Security benefits or retirement income from a 401(k) or individual retirement account. Contributing to an HSA, even if you don't max out your plan each year, could be useful in creating an additional source of savings for retirement. If, however, you only have an HRA available, it's important to understand exactly how you can use it to ensure that you make the most of it.